Customer Service can be reached by calling us at 1-800-588-1030 (outside the US: 1-760-317-2332), or via email: ljsubs@pcspublink.com. 2. How can I subscribe to Library Journal? You can purchase a Print + Digital subscription, Digital subscription, or Print subscription to Library Journal here. 3. How do I manage my current subscription? To manage your subscription online, log in to your account. Once you are signed in, click to manage your subscription below your name. In your account you will be able to renew, edit, or cancel your subscription to Library Journal. If you have not yet created an account, create one here. 4. 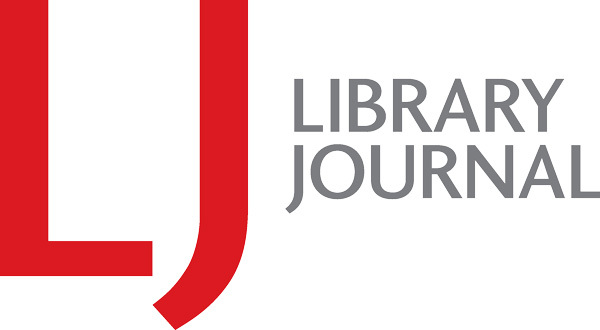 How can I create an account to join the Library Journal Community? You can create an account on our Registration page. Enter your email address and a new password. If you are already a subscriber, simply log in to your account subscriber, we recommend that you use the email address associated with your subscription. If you experience difficulties while creating an account, please Contact Us page to report the problem. 5. Why are my login credentials not working? Please make sure that you are using the email address and password associated with your Library Journal subscription. If you forgot your password, you can retrieve it through the “Forgot Password?” link below the password field. 6. If you are a subscriber and had a username and password with us that has not been used since 2014, these log in credentials will not allow you access. You will need to create a new account following the instructions here, and your new account will automatically link to your subscription information. 7. How do I cancel my subscription to Library Journal? To cancel your subscription, log in to your account or contact Customer Service with one of the options below. 8. How do I sign up for newsletters from Library Journal? You can sign up for receive emailed newsletters from Library Journal on a variety of chosen topics by selecting your favorites here. 9. You can also manage your newsletters and email preferences in your Library Journal account. 10. How do I unsubscribe from newsletters? To manage your newsletter subscription and email preferences, log in to your Library Journal account. You may also follow the instructions at the bottom of each newsletter to unsubscribe or update your email preferences. 1. Who do I contact if I’m having trouble with the website? 2. Which web browser is recommended for viewing the website and digital editions? Our site is designed to be fully supported by recent versions of Chrome, Safari, and Firefox, as well as Internet Explorer 11 and Edge. 3. If I have a technical question about the website that is not answered here, or to report a broken link. Who can I contact? 1. What is included in my digital subscription? With a current subscription, the customer has access to all paid and archived content. 2. How can I register for and get access the digital content? A web address is sent via email to the customer. 3. Is a user name & password required? 4. Do I set the password or is it provided? The customer sets the password. 5. Is the digital edition a replica of your print edition? 6. Is the content viewable on the following devices? 7. Is a print subscription required to get access to the digital edition? Individuals may order either print, digital, or both. Institutions receive one print copy of each issue to accompany their digital subscription, and may order additional print copies at a discounted per copy rate. 8. If the subscription lapses or is canceled does the customer lose access to all content (i.e. will old material still be viewable)? With a lapsed subscription, the customer retains access only to open, public content. 9. What is your cancellation / refund policy? Subscriptions may be cancelled at any time for a prorated refund.